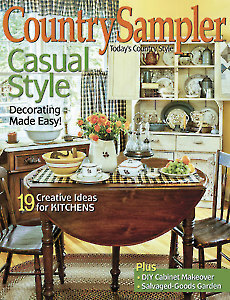 Sow seeds of great style with the fresh ideas and decor in this issue of Country Sampler. 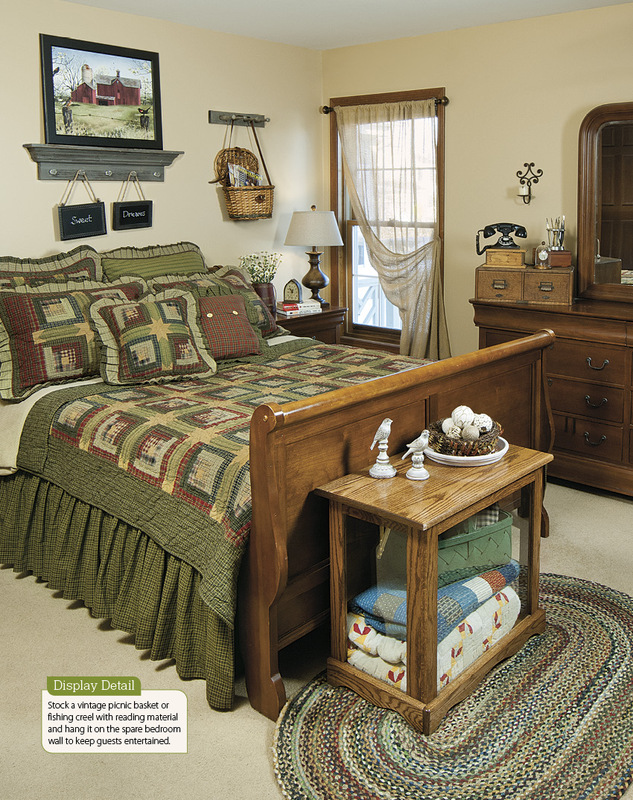 Tour a 1930s cottage, a primitives-packed ranch, a light and bright century-old house, and a classic country space decorated in bold hues. 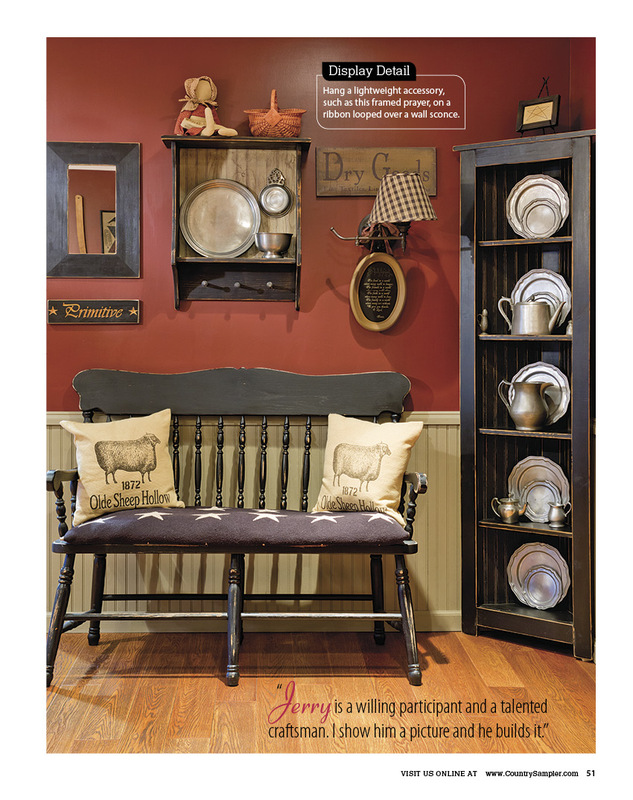 Get tips for transforming unfinished cabinets into a custom country kitchen. 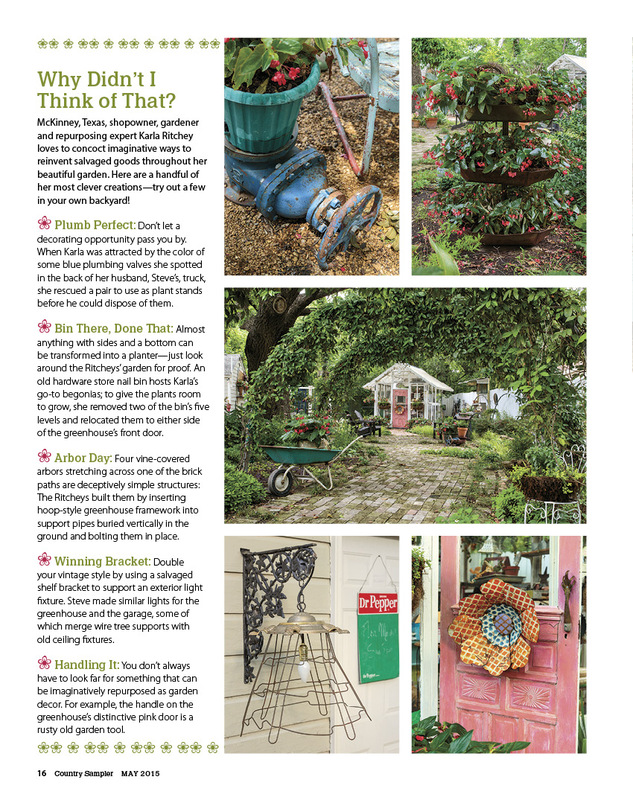 Visit a Texas garden filled with salvaged finds and creative containers. 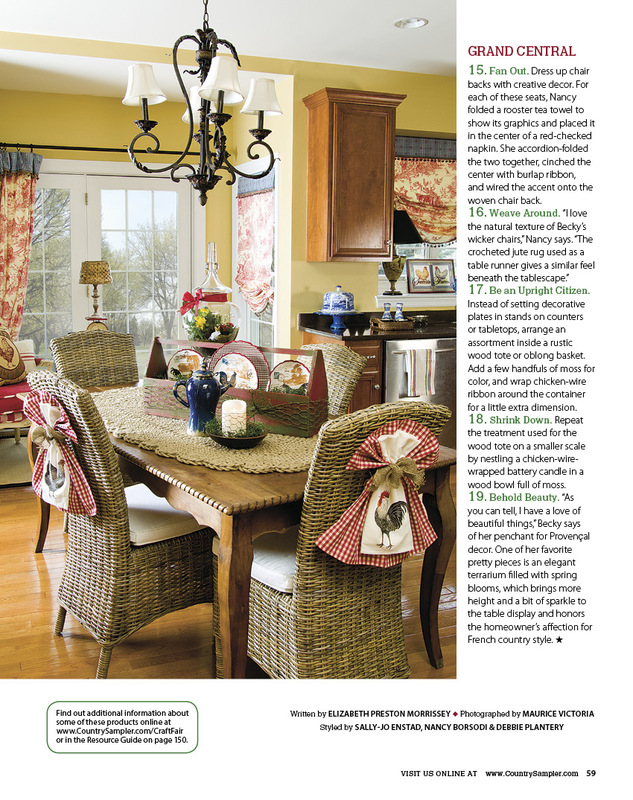 Learn how to add French-country style to your kitchen.